If you want to understand American Jewish politics in the Donald Trump era, pay close attention to the skirmish last week between the Anti-Defamation League and Ohio Republican State Treasurer and U.S. Senate candidate Josh Mandel. It’s a foretaste of things to come. On July 18, the ADL issued a report titled “From Alt Right to Alt Lite.” It argued that in addition to the “alt-right,” which “overtly” espouses “white supremacist ideology,” a second group of commentators and activists — the “alt-lite” — peddles bigotry, too, just more subtly. While the “alt-lite” doesn’t speak the language of white nationalism, the ADL argued, it “embraces misogyny and xenophobia.” Among the people it associated with the term are two pro-Trump media personalities and conspiracy theorists, Mike Cernovich and Jack Posobiec. The exchange would have been unthinkable two years ago. The ADL has long taken a liberal line on domestic issues like gay and lesbian rights and immigration. But before Trump, it was best known for its tendency to define harsh criticism of the Israeli government as anti-Semitic. On that, the ADL and Mandel would generally agree. The ADL’s views on Israel haven’t changed much. But in President Trump’s era, the group’s new national director, Jonathan Greenblatt, has thrown the organization into the fight against the nativism and bigotry rising on the American right. That includes bigotry against American Muslims. Last November, Greenblatt said that if the government created a registry of American Muslims, he would sign up himself. This focus has put the ADL on a collision course with ambitious Republican Jews like Mandel, who recognize that hostility to Muslims and Islam has become one of their party’s core beliefs. A March 2016 poll in Mandel’s home state of Ohio, along with Florida, North Carolina, Missouri and Illinois, found that two-thirds of Republican voters backed Trump’s proposal to ban Muslims who aren’t American citizens from entering the United States. For a Republican politician today, defending Muslim rights is a bit like defending abortion rights. It’s an excellent way to alienate your political base. This past February, Mandel retweeted a link from the Center for Security Policy, an organization that in 2015 published a report that urged readers to “Speak up against the opening of more mosques in your neighborhoods,” “say no” to “a special Halal food section in a Minneapolis public food bank” and “publicly criticize the conversion of Catholic churches into mosques.” Try that exercise again. Imagine a Muslim politician retweeting the work of an organization that urged Americans to oppose the building of synagogues and the provision of kosher food. A fierce fighter against the anti-woman Sharia law. Sharia is Islamic law. Observant Muslims use it to guide their religious practice and to resolve disputes. But, obviously, it does not exempt them from American laws regarding the rights of women, or anything else. Imagine if an American Muslim politician — citing the fourth stanza of Birkat HaShachar, in which Orthodox Jewish men every morning thank God “who has not made me a woman,” or citing the Agunot, Jewish women who cannot get a religious divorce because their husbands will not agree — promised to be a “fierce fighter against the anti-woman Halacha.” How would American Jews react? Mandel, sadly, is a sign of things to come. In the George W. Bush era, prominent Jewish Republicans like Paul Wolfowitz and William Kristol saw themselves as champions of Muslim rights. They spoke proudly of America’s military interventions to prevent the ethnic cleaning of Muslims in Bosnia and Kosovo. And they justified Bush’s wars in Iraq and Afghanistan, in part, as heroic efforts to bring freedom to Muslim lands. That kind of Jewish Republican discourse is almost dead. It took ill when the Iraq and Afghan wars went south, and entered a coma after the failure of the Arab Spring. Its universalistic view of Muslims as freedom-lovers waiting to be liberated by American tanks has given way to a view of Muslims as inherently barbaric. Breitbart, whose senior-editor-at-large, Joel Pollak, may be the influential conservative Jewish journalist in America today, specializes in finding examples, now matter how obscure or thinly sourced, of Muslims behaving horribly. It then adds the most menacing headlines and photos it can find, and tells its readers, essentially, that Muslims are savages. Mandel is a Breitbart Republican. Other Jews who run for office as members of the GOP will likely follow his example in the years to come, because that’s where the voters are. Anti-Muslim bigotry is becoming, alongside Israel, the central cleavage in American Jewish politics. But the battle lines are different. The ADL, which rarely criticizes Israeli policy in the West Bank, denounces anti-Muslim bigotry in the United States. That’s the good news. The bad news is that hostility to Islam, and support for policies that discriminate against Muslims, has become commonplace in one wing of the American Jewish community. The Republican Jewish Coalition isn’t embarrassed by Mandel. It celebrates him. One day, American Jews will look back upon Josh Mandel the way we today look upon the politicians who incited hatred against Japanese Americans in the 1940s, against African Americans in the 1960s, ’70s and ’80s, and against gay and lesbian Americans in the ’90s and 2000s: with contempt. The more American Jews do to defeat his political ambitions now, the prouder our children and grandchildren will be of us in the decades to come. 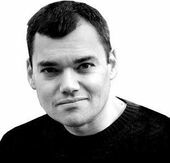 Peter Beinart is senior columnist and contributing editor at the Forward. Listen to his podcast “Fault Lines” with Daniel Gordis here or on iTunes. This story "Josh Mandel And The Rising Bigotry Of Republican Jews" was written by Peter Beinart.